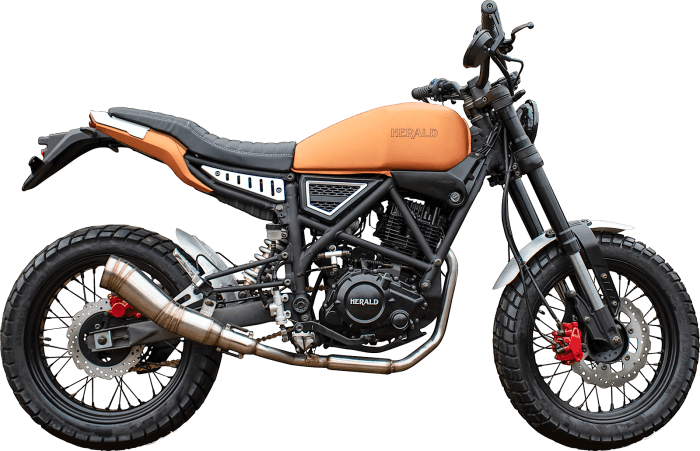 We are showcasing two new motorbikes at INTERMOT in Cologne this month, the British designed and engineered Brute 500 and the Brat 125! The Brute 500 is a Brute by name and Brute by nature, inspired by the racetrack but built for the road it is our own modern take on the street tracker and has been engineered and built in house from the ground up at our site in Huntingdon, UK. 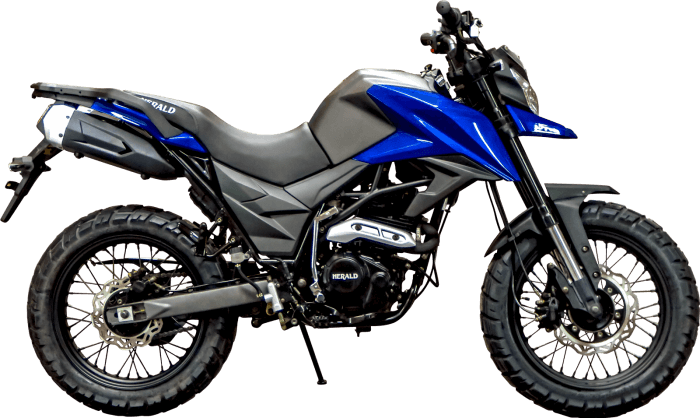 Featuring a single four-stroke 449cc engine, the bike also has adjustable Racetek front and rear suspension with our own unique floating-shock linkage system. 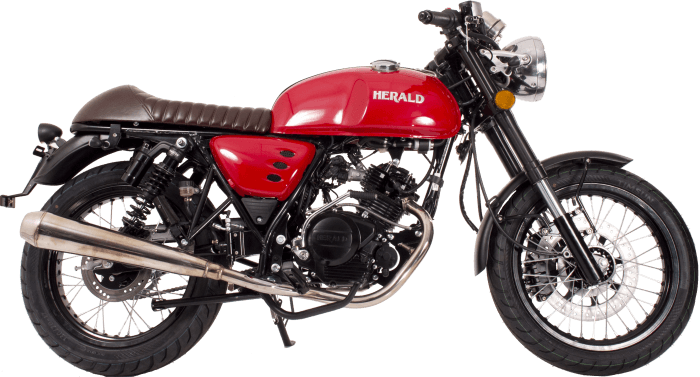 Previously, we have focused on 125 and 250 motorcycles, however earlier this year we launched the Herald Classic 400 (also available to view at INTERMOT) and another 400 model is due to be released later in the year. 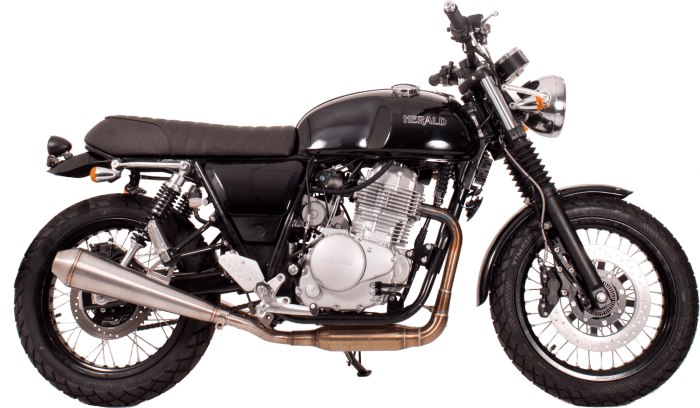 Our passion for motorbikes has meant the goal was always to design and manufacture motorcycles in Britain. 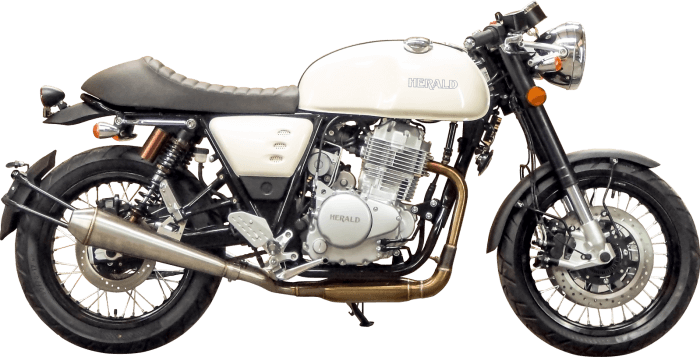 As a division of an award-winning engineering and manufacturing company, we can design and produce parts in-house and have the facilities to develop and manufacture our own British-built motorcycles. The Brute is the first bike to be designed and built at our headquarters and the next stage is final testing and development. 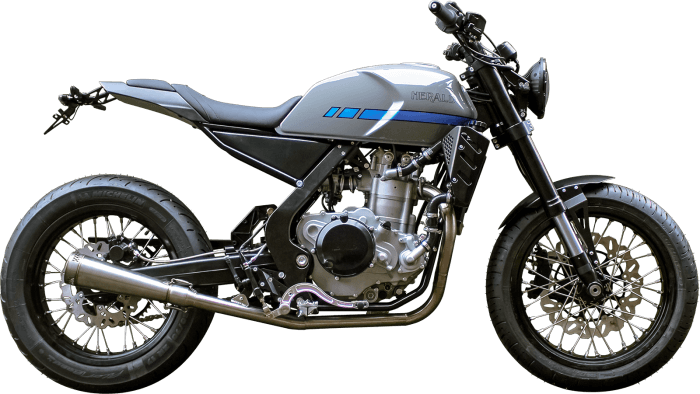 Also launching at INTERMOT is the Brat, a bike with an attitude to match its unique rugged looks. Developed with partners to our exact specifications, it will be part of our exciting 2019 range. 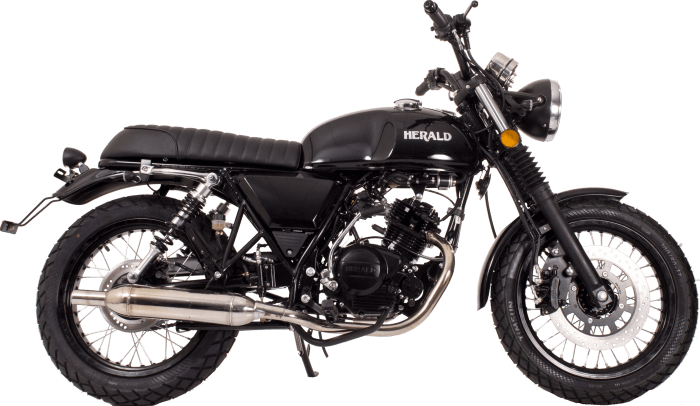 Visit Herald at INTERMOT on stand A-080 (Hall 6). 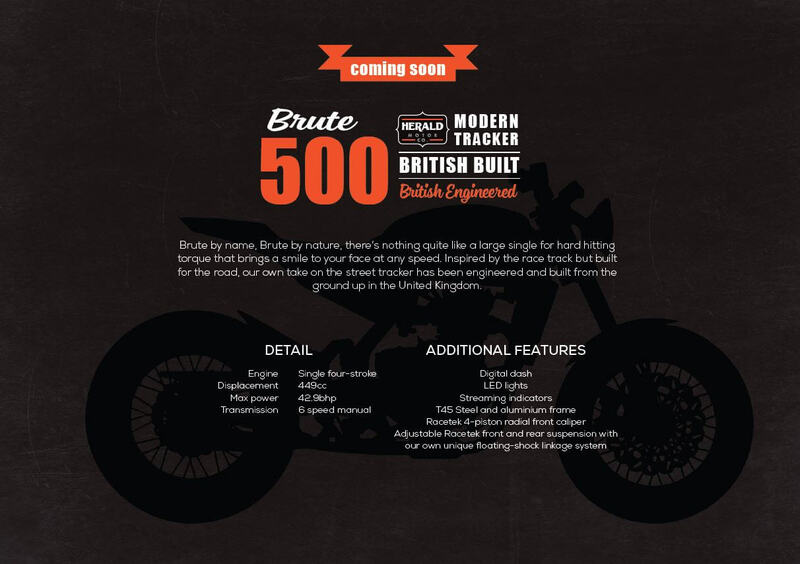 The Brute 500 and Brat 125 will also be on display on stand 3D10 at Motorcycle Live at the NEC, Birmingham in November.